A Carlsbad man was killed Monday when the vehicle he was driving struck a semi. 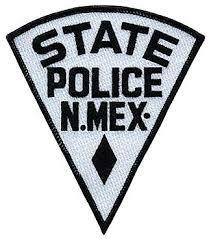 New Mexico State Police were dispatched around noon Monday to the intersection of Old Cavern Highway and Derrick Road south of Carlsbad. Initial investigation revealed a 2002 Toyota sedan, driven by Ralph Rider, 55, of Carlsbad, was traveling south on Old Cavern Highway when it veered into the northbound lanes, colliding with the side of a semi truck. Rider sustained fatal injuries and was pronounced dead at the scene by the Office of the Medical Investigator. The semi driver was not injured. Around 8:30 p.m. Sunday, the NMSP were dispatched to County Road 2 approximately 25 miles southeast of Jal in reference to a rollover. A 2010 Dodge truck, driven by James Sitton, 28, of West, Texas, was traveling north on CR 2 when it left the roadway for unknown reasons and overturned multiple times. Sitton was ejected from the vehicle. He was transported by EMS to the Jal airport for airlifting to the Odessa Medical Center but succumbed to his injuries en route. A passenger in the vehicle was transported by EMS to the Winkler County Memorial Hospital in Kermit, Texas, with unknown injuries.